Healthcare — pico ARCHITECTURE inc.
Grant Design Group Inc. (Prime Consultant), Crosier Kilgour & Partners Ltd. and MCW Consultants Ltd. This Marymound facility consists of two programs; the Youth Addictions Stabilization Unit (YASU) and the Intoxicated Persons Detention Unit (IPDU). IPDU is a two bed unit which accepts intoxicated youth detained by the Winnipeg Police Service when a parent or guardian cannot be located. The youth are under constant observation by two staff and must be medically cleared prior to being admitted to the unit. YASU is set up to help youth withdraw from addiction and achieve sufficiently stable health so they can enter treatment. 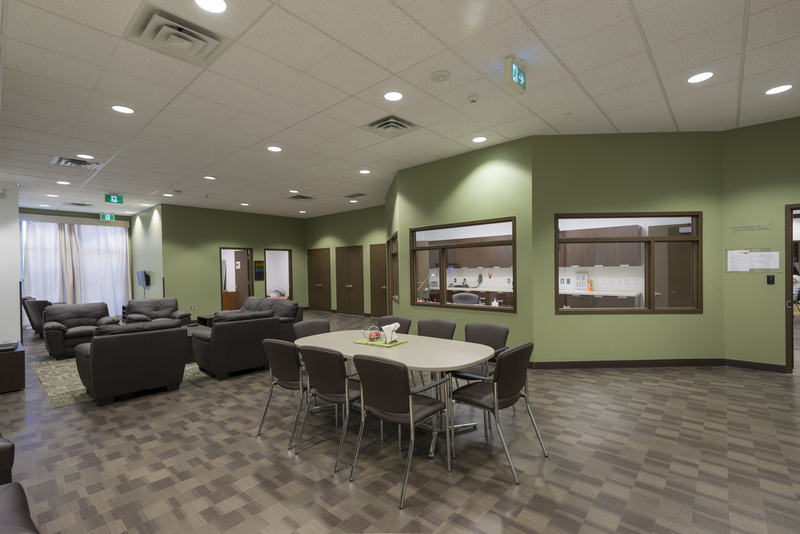 The interior of this former industrial building was completely demolished and the exterior was heavily modified to create a comfortable, non-institutional environment to help youth withdraw from addiction safely and securely. 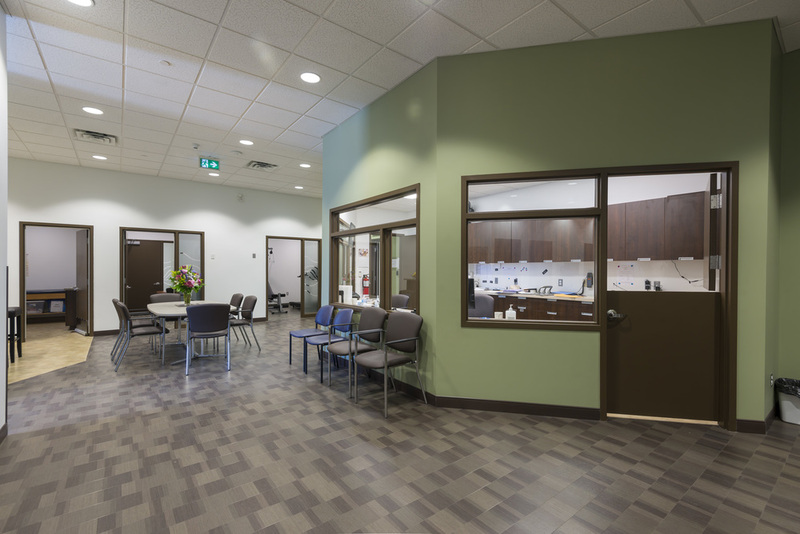 The renovation included a new secure main entrance, residence rooms, barrier free washrooms and showers, support offices, a kitchenette, observation room and living/ lounge areas. The Salvation Army Golden West Centennial Lodge is a 24 hour geriatric personal care home providing nursing, medical, rehabilitation and recreational services to residents. To improve care for residents the fourth floor bathing facilities were upgraded to meet current building codes and provide increased space for maneuverability. 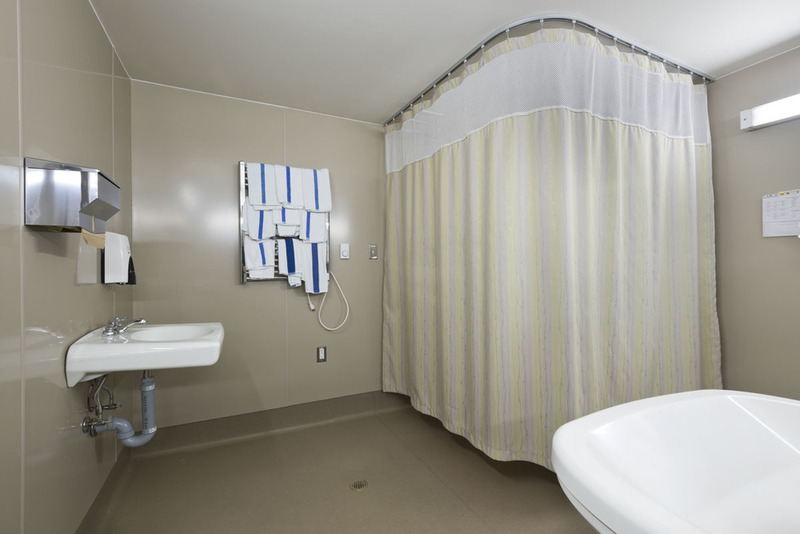 The larger and more functional bathing and shower suites allow for a safer environment for both staff and residents.